Las Villas de San Buenas is perfectly located in the heart of Costa Rica’s Southern Pacific region, just south of Ojochal, in the Osa Peninsula region of Costa Rica. This premier location means that you are never more than 20 minutes away from everything Costa Rica’s Osa Peninsula has to offer. 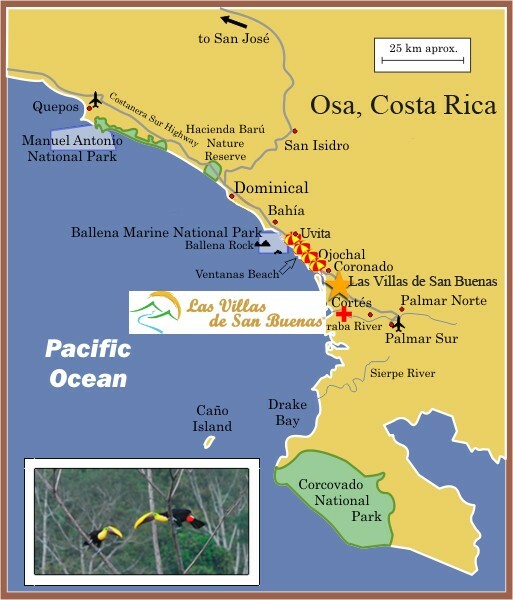 The Osa Peninsula is less populated than almost any other region of Costa Rica. The tall condominium towers found in Jaco are nowhere to be seen here. Zoning laws, increased regulation and preservation measures have kept Osa looking beautiful. The beginning point of the Osa Peninsula, is officially any town south of the Rio Baru (Baru River), which is Dominical (there’s a bridge going over Baru River that makes the distinction clear). The Osa Peninsula is known for its lush landscape, untouched jungles and beautiful beaches. 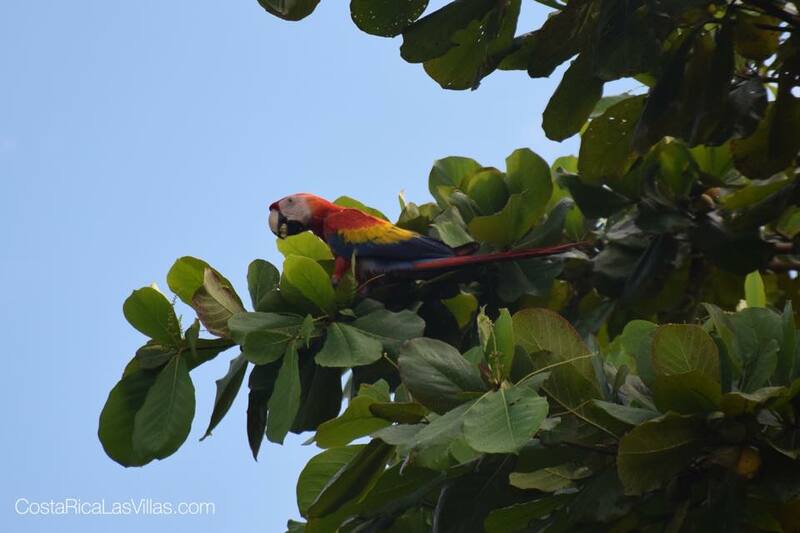 Unlike Guanacaste in the Northern Pacific region where the winds are hard, the air is dry and there are few rainforests, Osa stays lush throughout the year and is abundant with wildlife. According to Earth Times, the Osa Peninsula of Costa Rica contain 2.5% of the world’s known plants and animal species, yet comprises only 0.00000085% of the world’s land mass. Once you’ve had a chance to visit, and live a little bit here in Osa, you’ll be forever disappointed visiting your old local zoo. 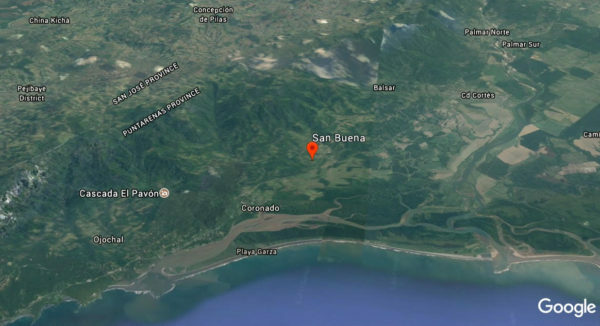 Las Villas de San Buenas is located a short and easy 1 mile (2 km) easterly drive from the Costanera Highway (Hwy 34) at KM 186, in the quaint and charming town of San Buenaventura (population 400). San Buenaventura is a community full of wonderful and friendly people who will go out their way to help you – you might even get invited to play in some of the many soccer games that take place every week. The town has two churches (one Catholic and one Methodist) and two elementary schools. The Catholic Church and one of the elementary school are within walking distance of Las Villas de San Buenas. The town’s agricultural roots, small town living, and ‘Pura Vida’ attitude, provide the perfect location for a development in paradise. Another benefit is the lack of rush hour on Friday afternoon. Take a look! Ballena National Park (KM 170): The most beautiful beach in Osa. Miles of beach, easy waves, perfect for the whole family. Uvita (KM 163): The best launching point for aquatic tours in the area (whale watching, dolphin watching, etc.) and access point for “Whales Tail” beach of Ballena National Park. Dominical (KM 142): Surf’s Up!! One of Costa Rica’s best surfing beaches. Quepos/Manuel Antonio: One of Costa Rica’s most popular tourist destination and its most popular National Park are just an hour away.